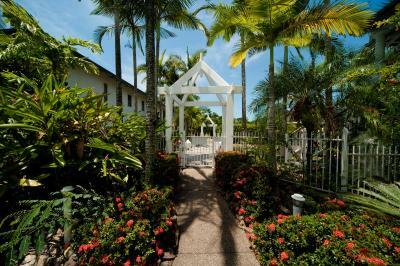 Lock in a great price for Mango House Resort – rated 8.5 by recent guests! Loved the way the pool was just out side the door. It’s such a nice place. About a kilometer away from downtown with beautiful views on road. It made me feel at home. Beautiful property surrounded by nature. Loved the swimming pool as well. It's a 30 min walk from the city centre. If you're looking for a place to relax, this is an amazing choice. 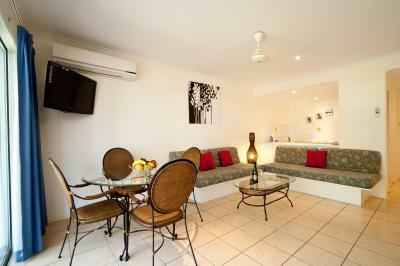 The rooms were very generous, kitchen fully equipped , washing machine, nice terrace with the pool view, wifi very fast, furniture was not new but was very clean. My daughter and I stayed for 4 nights. Just out of town towards Shute Harbour. 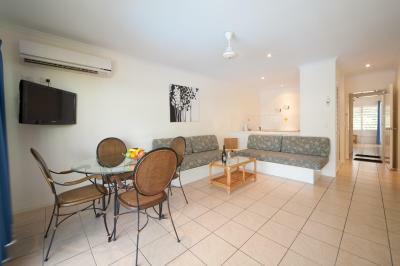 Great location for families as it was nice and quite away from the centre of town. 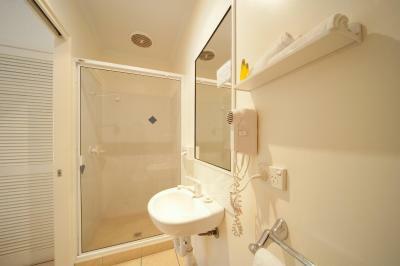 The room was very welcoming, clean and spacious. We enjoyed a couple of afternoon swims in the pool. Added bonus was the stairs from the second floor (off the balcony)straight down to the pool area. Great place for families and great price too! Lovely gardens great pool and perfect location. Very nice and helpful hosts! 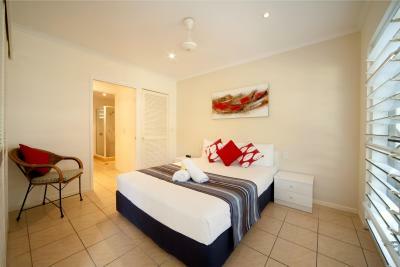 Easy walk to the grocery,café,ATM, bottle shop restaurants. 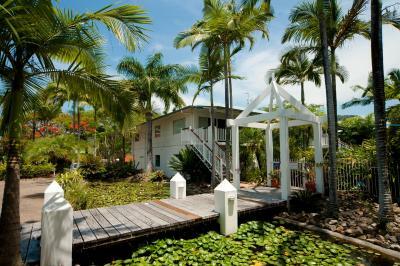 just a 1/2 mike to a mile from harbor and Airlie Beach shopping area. Spacious, super comfortable bed, everything you need in the apartment, quiet location (car needed) managers were very friendly and nice people. 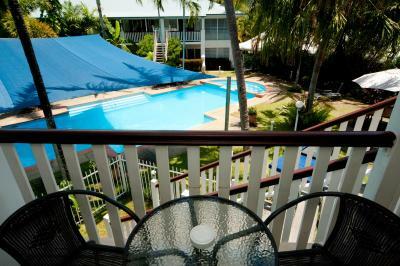 Nice little pool accessible from own balcony, with beautiful birds handing around. Recommend! The whole apartment was great and we were upgraded however only drawback was a pond with frogs croaking during the night!!! 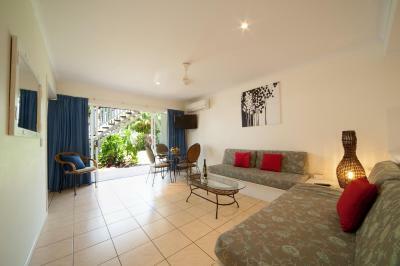 Fantastic little property with tropical environment and lovely pool with each room having great access. Rooms are large with tons of space , washer /dryer, kitchen & living room. 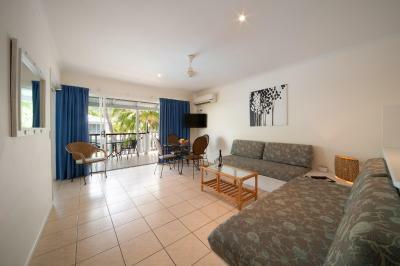 Also each room has a little deck or if you are lucky the pool side (up or down) have direct access to pool & cute patio to dry clothes etc. 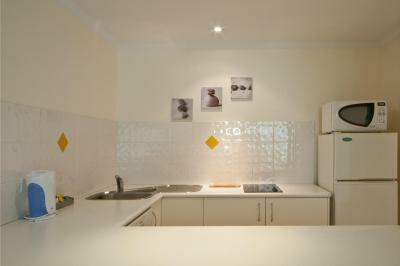 Kitchen has all you need to do breakfast & others meals incl microwave. No stove. Liquor store & small IGA ( grocery) across the street. Great for all to sit by the pool & even BBQ if u wish! A little out of the way from busy area, We were really happy, can walk 15 mins to main drag or take local transit ( not typically on time but cheap & easy) '!! 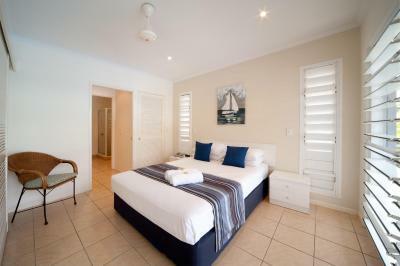 Mango House Resort This rating is a reflection of how the property compares to the industry standard when it comes to price, facilities and services available. It's based on a self-evaluation by the property. Use this rating to help choose your stay! 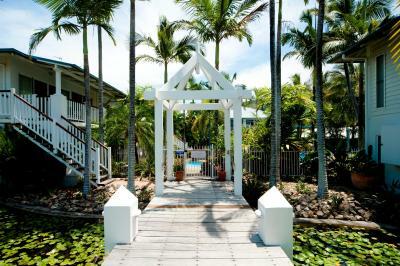 One of our best sellers in Airlie Beach! 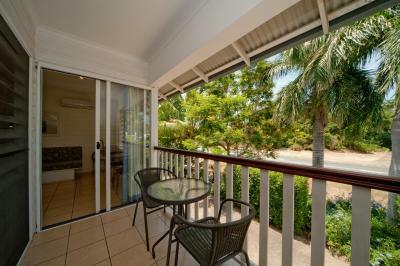 Just 5 minutes’ drive from Shute Harbor, Mango House Resort offers self-contained accommodations with a private balcony overlooking the pool and gardens. It features free internet access. 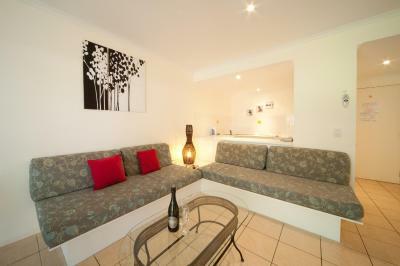 Guests can enjoy a meal in the barbecue area. The tour desk can recommend local attractions and help guests with travel arrangements. Jubilee Tavern is located opposite, which is open for both lunch and dinner. Mango House Resort is surrounded by Conway National Park, 25 minutes’ walk from Airlie Beach. 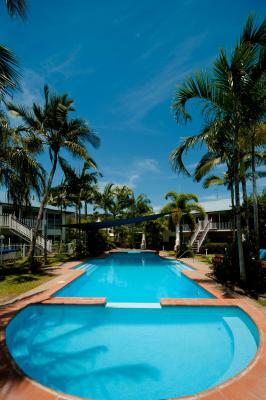 Proserpine Airport is a 35-minute drive away. 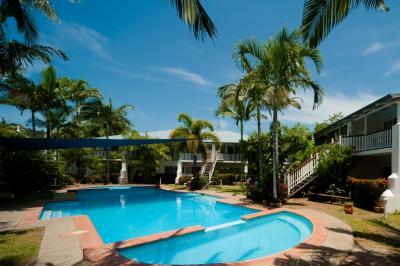 When would you like to stay at Mango House Resort? Please note that this studio has no capacity for additional guests. 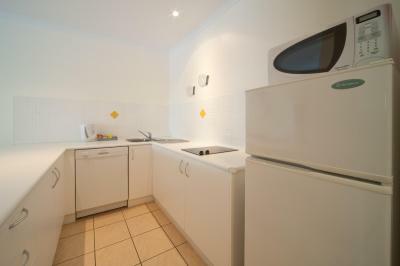 This apartment offers lovely pool and garden views, and a full kitchen with a dishwasher and microwave. 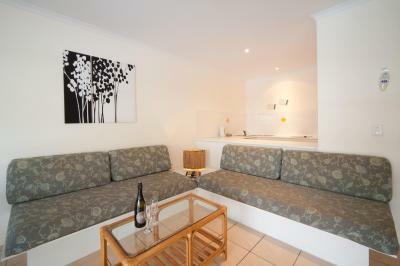 This apartment features lovely pool and garden views, and a fully equipped kitchen with a dishwasher and microwave. House Rules Mango House Resort takes special requests – add in the next step! Mango House Resort accepts these cards and reserves the right to temporarily hold an amount prior to arrival. The pool looked amazing at night time. In the morning the cockatoos came and ate breakfast with us it was fantastic. Peter was also amazing, friendly so good. It's not in the heart of Airlie but it's not that far out everything was easy enough to get to. It was peaceful, other guests were friendly and respectful. 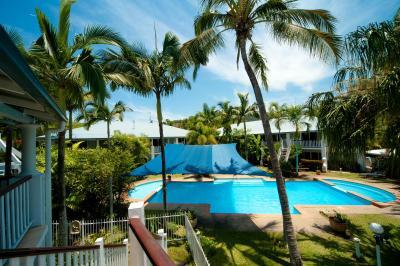 This hotel is well located for Airlie Beach and has a lovely swimming pool. 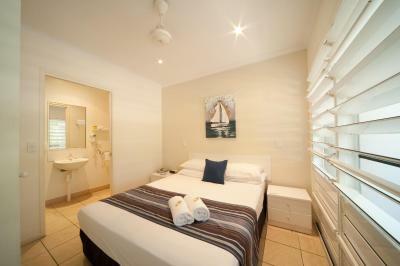 The rooms were much larger and better equipped than we expected. Décor a little dated. Smokers on neighbouring balcony reduced our enjoyment of ours. 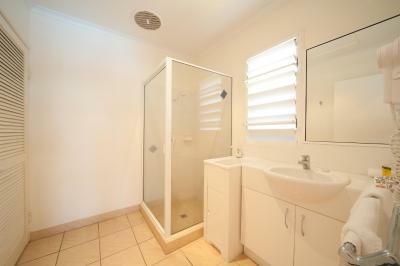 Location is good close to supermarket and short drive to town. Air con works well. Plenty of space for everyone. Peter is very accommodating and helpful with advice. 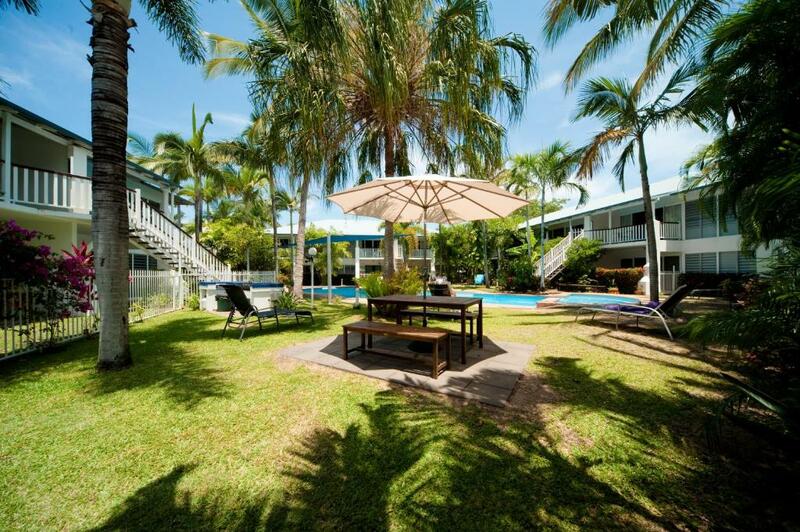 Cockatoos are friendly and entertaining, pool is great size and set in beautiful garden perfect for the family. We couldn’t understand why the toilet was in a separate room from the sink. The fan in the toilet room was broken. My husband and I had been traveling for two and a half months and needed a comfortable place to relax and regain our energy. This was the perfect place! Spacious. Nice pool. Easy parking. Good air con. Good shower. Nice to have washing machine and dryer and dishwasher. Nice big fridge. Warm welcome & fantastic service , especially from Pete! 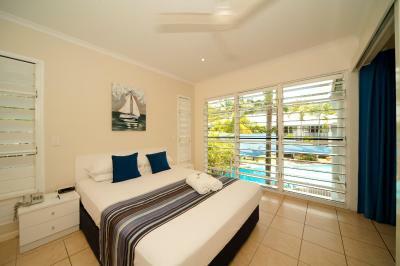 Fabulous room, everything you need, beautiful pool , comfy beds, very clean apartments. 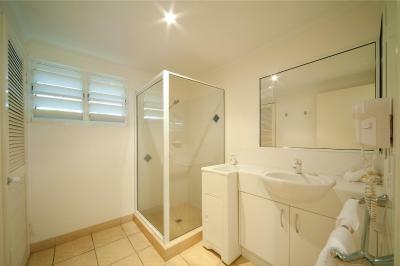 Good location slightly out if centre but easily accessible. Needs some updating - in particular kitchen facilities, very few cooking appliances, most plastic glasses were cracked and old, saucepans were sticky, and difficult to clean. Also no cleaning products provided - washing up liquid etc - annoying and wasteful to buy for 4 days, surprised this wasn't provided. No oven which would have been very handy for self catering. Gorgeous pool and garden, very relaxing (when no children about, we found middle of the day was quietest!) nice balcony for drying towels and having breakfast. Easy 20 minute walk into town and to the beach, and super market right next door. 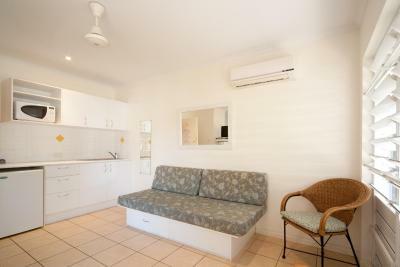 Good size living space and bedroom, and cools down quickly with the fans/ aircon. Very quiet and relaxing, pool and gardens were lovely. Rooms were very open and nice.